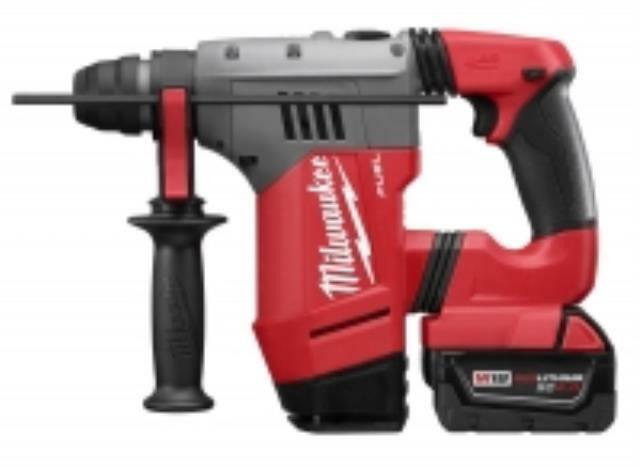 Powered by FUELTM technology, the M18 FUELTM 1-1/8 SDS Plus Rotary Hammer delivers faster than corded speed, corded durability, and all day work on one charge. The Milwaukee POWERSTATETM Brushless Motor Provides 3.3 ft-lbs of impact energy, 0-1,350 RPM and 0-5,000 BPM. The Milwaukee REDLITHIUMTM XC 4.0 Battery Packs provide all day work on one charge, 20% more power and 2X more recharges than standard Lithium-Ion batteries. REDLINK PLUSTM Intelligence integrates full-circle communication between tool, battery and charger to protect from overloading, overheating, and over-discharging. Milwaukee HAMMERVAC Dedicated Dust Extractor (2715-DE) features an inline dedicated design engineered to connect directly to and be power by the M18 1-1/8 SDS Plus Rotary Hammer (2715-22). This design allows for a very compact HAMMERVAC and rotary hammer combination to fit in the most confined work spaces. Utilizing the same replaceable certified HEPA filter as other HAMMERVACS , which filter 99.97% of all particles greater than 0.3 m, means more compatibility on the jobsite. 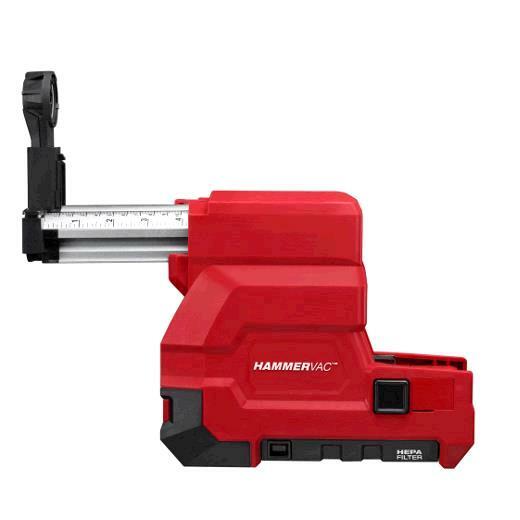 For accurate hole depths, this product is built with an adjustable depth stop and ruler for easy and precise adjustments. Featuring a high capacity dust box, users can now work longer without emptying dust box as often.